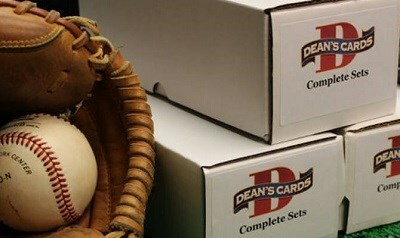 The 2010 Topps Baseball Update Set contains 330 cards that feature today's best baseball players. The front of the cards feature a bold colorful picture of the player surrounded by a white border and coupled with the team logo. The picture also includes rounded edges on one side of the card. The back of the card includes player statistics and biographical information. The 2010 Topps Update Set includes the games most famous names from the present; however, Topps threw collectors a curveball and also included rare variations that feature legendary players and teams from the past. Notable star cards in the 2010 Topps Update set include #US310 Derek Jeter, #200A Albert Pujols, #280 Alex Rodriguez and #US30 Roy Halladay. Key rookies in the 2010 Topps Update Set include #US15A Ike Davis, #US85A Starlin Castro, #US120 Brennan Boesch and #US191 Danny Velencia. Showing 1 to 100 of 331 products.